Yes, another piece of jaw-dropping architecture could be on the cards in Dubai. Krzysztof Kotala, a Polish architect, has completed the initial design of this ambitious project and he will be pitching his plan to the local bankers to make it a reality. He believes that it will be an original project complete with hotel and other luxury assortments. Dubai has seen several crazy civil engineering projects come to life in recent times. The Palm Islands, Burj Khalifa and Burj Al Arab are only a few examples of these fantastic projects that were completed in recent times. Dubai is home to the world’s largest mall and artificial islands. Such is the unpredictable nature of what the city and its enormous pool of investors can achieve that everything engineeringly possible can be made here. 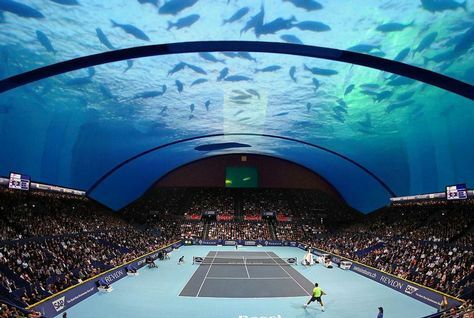 So, we all hope that this underwater court plan does develop into reality in the immediate future. The tradition of tennis in Dubai is strong, and it will be an enormous venue for the players to come and play for the audience. Kotala is heavily motivated to carry on this project as he believes that the commercial potential of this plan might be the bigger than any of the projects yet completed in Dubai. A number of underwater projects have been proposed in Dubai’s recent history. The developer of “The World” islands also plans to make marine villas, and the Kleindienst company will make partly submerged sea horse villas. Next off, US developer Reef World said that it was very keen on building sustainable underwater tourism sites across Dubai. The project is rumored to be a lost city with a focus on dive and snorkel tourism. 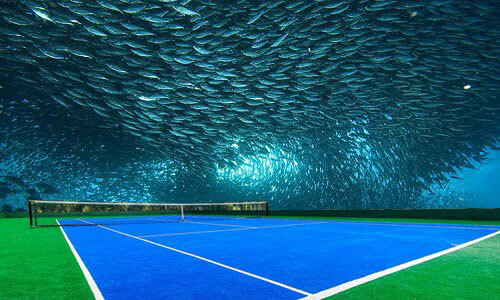 Many of these schemes are awesome, but the submerged tennis court proposed by Kotala is nothing like these. It is a potential super project that will take considerable time and resources. 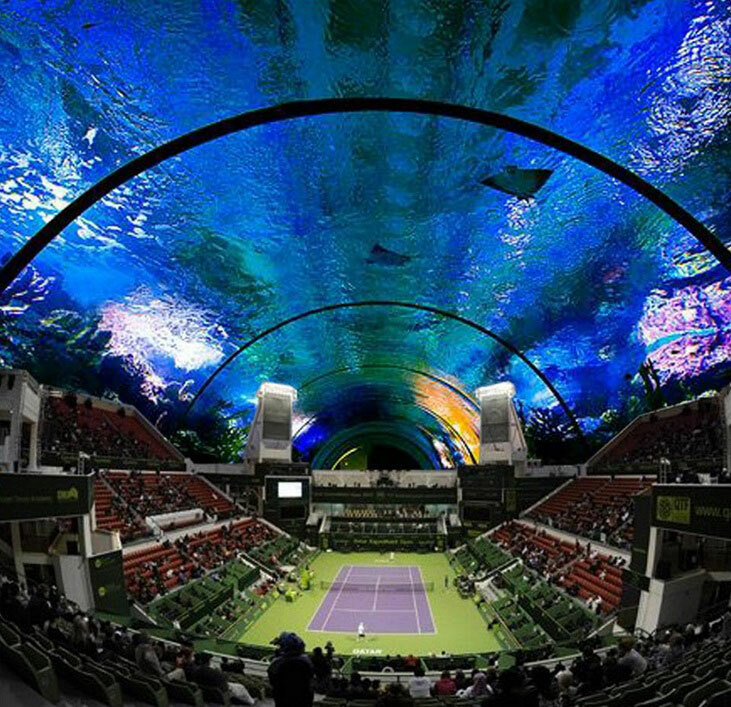 I would love to have some epic Nadal-Federer, Nadal-Djokovic battles at this scenic stadium. I think practically (and logically) it is not possible to play under a life size aquarium. It will be difficult for the players and as well as for spectators to pint-point their attention to the game. Yes, just for entertainment purposes it may work to mint money.